Chevrolet Niva — Russian compact SUV, which hit the market in 2002. Over the years, the car has secured the glory of a vehicle that is not afraid of bad roads. 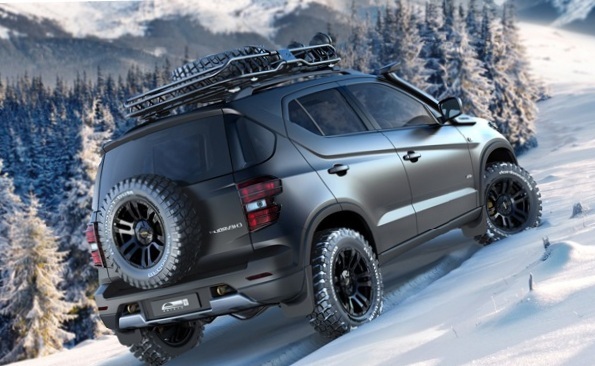 However, in 2016 the base model is waiting for an update that will not only change the appearance of an SUV, but also to improve its functional characteristics. At the same time, according to the promises of the developers, the old virtues of the car will not be lost! Dimensions Chevrolet hardly changed — only marked difference in length models. The new value of this parameter will be 4316 mm — 260 mm more than in previous versions. Based on the information the automaker, the appearance of a new Niva has all the features and characteristics of the line Chevrolet. The car will be equipped with an electronic central locking system, systems for safety when driving a vehicle, and the electric rear mirror. The appearance of the Chevrolet Niva will become more brutal — supplemented its angular shape and Stylized stamps. Models inherent optics narrowed type 16-inch wheels and off-road kit. Additional options include a set of protective cover to the power unit and upgraded optics, winches and other items. The interior of the car has undergone significant changes — there is also present a note of brutality and aggression. The driver’s seat and passenger seat will look for new ways; In addition, upgraded front and dashboard. Inside, the new 2016 Chevrolet Niva will be improved noise insulation and finish is replaced by a higher quality. Producers also promise a new instrument panel, compass, inclinometer, a temperature indicator behind and even progressive multimedia system. It should be noted that the new model promises a lot more comfort for the driver and passengers than ever before. 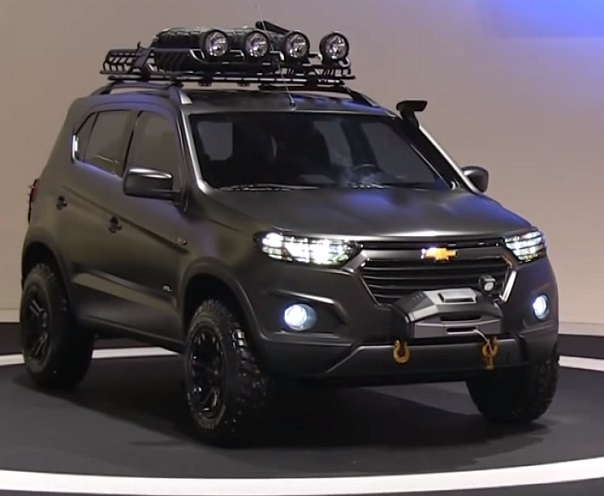 Chevrolet Niva model in 2016 will be improved not only in appearance but also in terms of comfort during use. • In the production of the new model will be used aspirated engine family EC8 1.8 liter — 4 cylinder, gas distribution mechanism with a 16-valve, 136-horsepower capacity, flow distribution of the fuel mixture and a maximum torque of 172 Nm. • The main transmission remains a 5-speed manual, which for many years has demonstrated its reliability. As before, the car is four-wheel drive on a regular basis with a reduction gear and a center differential lock. 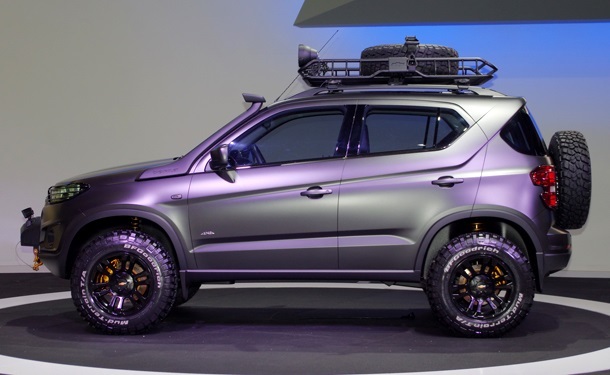 • To replace the front double wishbones and dependent rear axle off-road platform comes a completely new type with independent struts McPherson. • The inherent Cornfield bumpers taper and short overhangs continue in the new model to provide maximum geometric streamlined. • Additional strengthening monocoque, which is expected, the new product will allow the car to increase the level of security in an accident. Today tested the new model Chevrolet Niva in automotive test sites in Italy and Spain. Series production is planned for December 2015, and retail sales will start in early 2016. Official representatives reported that the new model is the basic version will be priced at 0.5 million rubles.